Koh Preah is a village situated on a small island in the middle of the Mekong River and is 35km from Stung Treng Town. Koh Preah is an untouched tourist destination. It is rich in natural resources and is an enriching experience to understand Khmer culture and the Cambodia rural way of life; providing insights into local beliefs and cooking skills of the local people. The trip to Koh Preah by bicycle is an unforgettable travel experience. 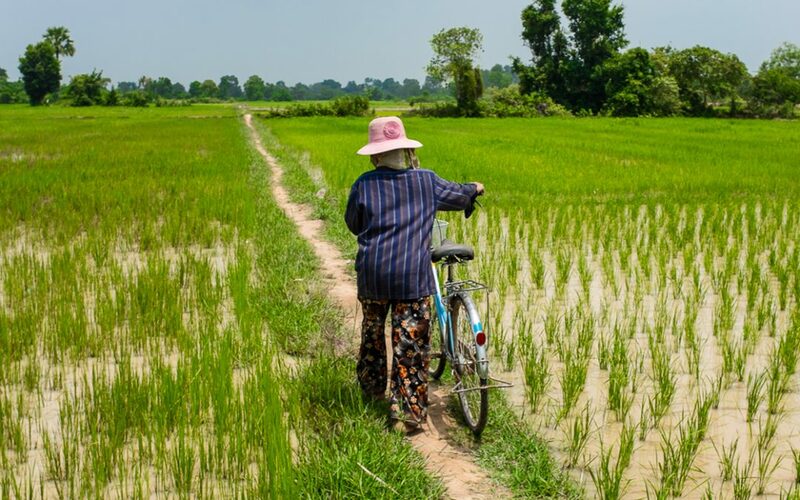 You will cycle along the local gravel roads following the Mekong River, passing many local families and their rice fields. The stretch of the Mekong to the South of Koh Preah is one of the most beautiful parts of the Mekong River, especially when travelling downstream through the twisting, intertwining channels, painted with small uninhabited islands, undulating sandbanks, rapids and flooded forests. O’Svay community based ecotourism project consists of five villages ( O’Svay village, O’Run, Koh Phnov, Koh Hib, and Voeun Sien village) and four surrounding islands. O’Svay community is the most popular destination in Stung Treng province both for local Cambodian and international visitors. 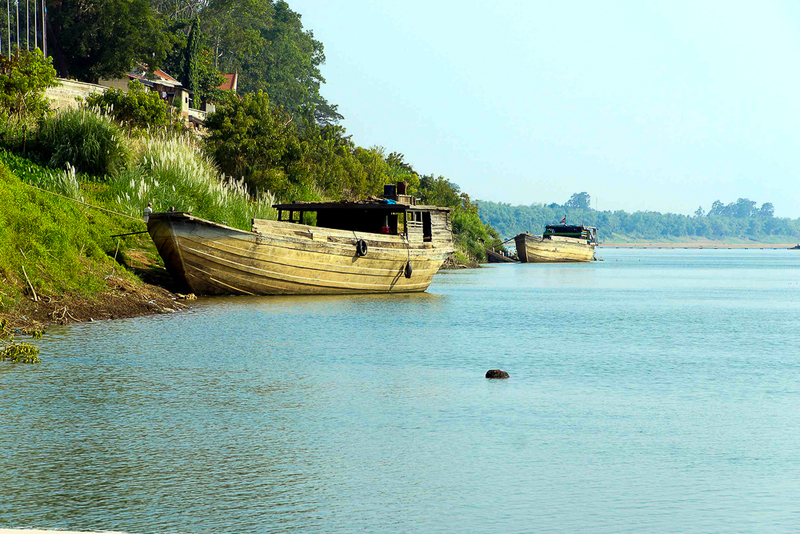 Borey O’Svay is well known for its preservation of wildlife, including birds, fish and the Irrawaddy Dolphins along the Mekong river, as well as for its forestry preservation at the Ramsar site. O’Russey Kandal offers a community based ecotourism project in Stung Treng province along National Road No.7. O’Russey Kandal offers a beautiful place for visitors to picnic besides picturesque waterfalls and pools to cool off in.